Until you’ve felt the earth-shaking majesty of a galloping six-horse draft hitch or marveled at the silent trust displayed between a horse at liberty and its handler, you’ve never experienced the magic of Fantasia. Fantasia sets the beauty, majesty and power of horse and rider to music, serving as a testament to the heart and soul of the horse. 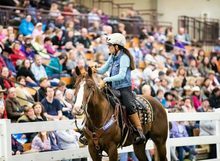 On April 11-13, Equine Affaire’s signature musical celebration of the horse will bring every horse-lover’s dream to life under the spotlights of the Ohio Expo Center’s coliseum in Columbus, Ohio. Sponsored by Absorbine, the Fantasia is an unforgettable show that sets the beauty, majesty and power of horse and rider to music, serving as the ultimate testament to the heart and soul of the horse. Featuring talents as diverse as Guy McLean’s signature liberty act and the Haflinger marathon driven drill team, Fantasia unites equestrians of all ages in a universal celebration of the beauty and ability of the horse. Returning for just three nights during Equine Affaire in Ohio, tickets for Fantasia are on sale now through March 24. Visit equineaffaire.com or call the Equine Affaire office at (740) 845-0085 today to purchase your tickets. Performances will take place at 7:30 pm on Thursday, April 11; Friday, April 12; and Saturday, April 13. This year’s show will feature high-energy drill teams, a variety of jaw-dropping liberty and costume acts, trick riders and more. Shawn Drentwett, daughter of beloved Fantasia veteran Christine Drentwett, will present a magical costumed act with her Friesian horse, “Ricco.” Ninth-generation circus performer Sylvia Zerbini and her daughter, Ambra Zerbini, will both present liberty acts, including a special aerial twist by Ambra. Wild West fans will thrill to the whip-cracking and rope-flying antics of Loop Rawlins, the one-man Wild West performer featured on America’s Got Talent. And Kellie Rettinger of Whispery Pines Percherons will lay claim to the arena as Wonder Woman on the back of one of her beautiful Percherons. For additional details about Fantasia and to purchase tickets, visit equineaffaire.com or call the Equine Affaire office at (740) 845-0085, Mon-Fri, 9am to 5pm EST. Doors open at 6:45pm and the show begins at 7:30pm each evening. Ticket prices range from $14 to $25. Advance ticket sales will end March 24. Tickets purchased before March 24 will be mailed, while tickets purchased after that date will be available at Will Call at the event. 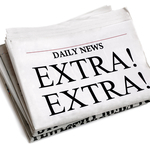 Equine Affaire will take place April 11-14 at the Ohio Expo Center in Columbus, Ohio. Visit equineaffaire.com for schedules, updates, and additional information about Equine Affaire in Ohio. 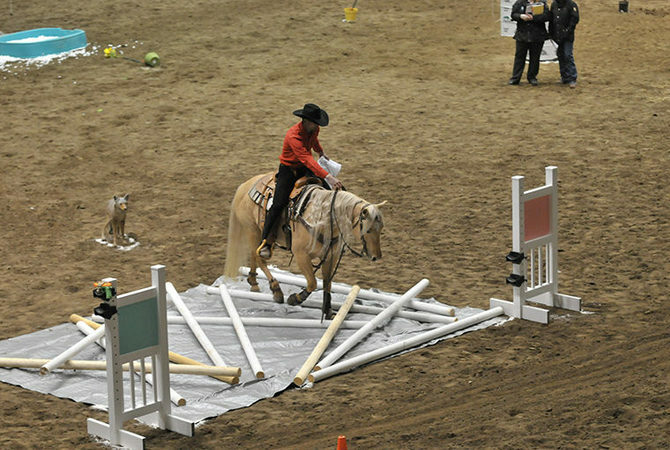 Equestrians, horse-lovers and families are invited to attend Equine Affaire. No matter what your role is in the equine world, there’s something for everyone at Equine Affaire, including educational seminars, horse-themed shopping and interactive educational exhibits. Tickets for Equine Affaire are on sale now at equineaffaire.com. Equine Affaire gratefully acknowledges the generous support of Absorbine, official sponsor of Fantasia.